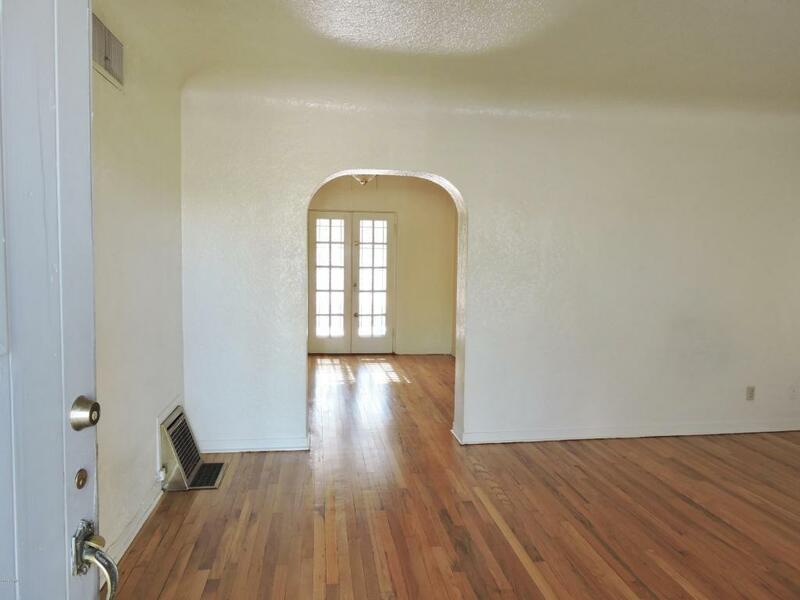 Quaint Historic Home in the Heart of Phoenix. Two bedrooms, One Bath, Ample Storage, and Pantry With Beautiful Original Hardwood Floors Just Refurbished. Many of the Original Features of this Home Remain Intact.Newer A/C and Roof. This Home Has a Traditionally Large Lot, and Separate Garage, Directly Across from the Beautiful Coronado Park,Just up the Street From the Newly Expanding Hospital, and is Begging for a Love Affair with it's New Owner.Additional Wall A/C in Front Bedroom is As IsSPDS are limited as Owner does not Occupy.